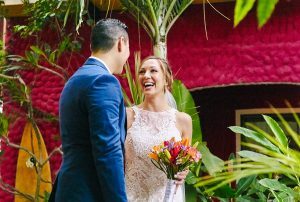 If you are considering getting married or renewing your vows in the tropical paradise of Costa Rica, we are very happy to present our own ‘Barefoot Weddings’ services and packages. We offer your own personal wedding coordinator and beautiful beach ceremony which may include officiator, flowers, photographic and video services, as well as reception and dinner, music, transportation and accommodation. Your wedding coordinator will assist in the planning and budgeting for your perfect wedding, and ensuring that everything runs smoothly on the day. We will work closely with you to fulfill your exact requirements and provide suggestions along the way. We have excellent local suppliers of floral arrangements, hair and make up services, massage and spa treatments, and designer wedding cakes. 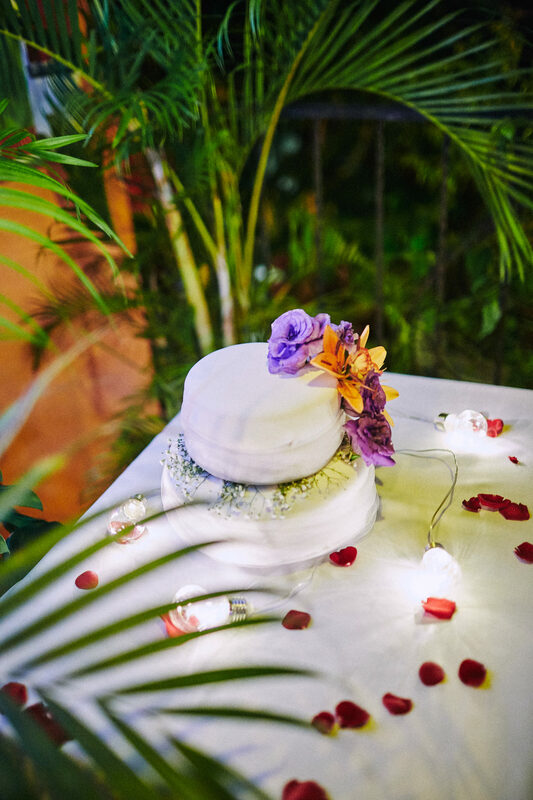 Our own on-site restaurant Papaya, can host your private reception and dinner in private and intimate surroundings with a menu tailored to your exact requirements. We specialize in small groups of up to approximately 40 guests in our 16 rooms. In this way the entire hotel can be reserved for you and your friends and relatives, and our staff can dedicate themselves entirely to your group. 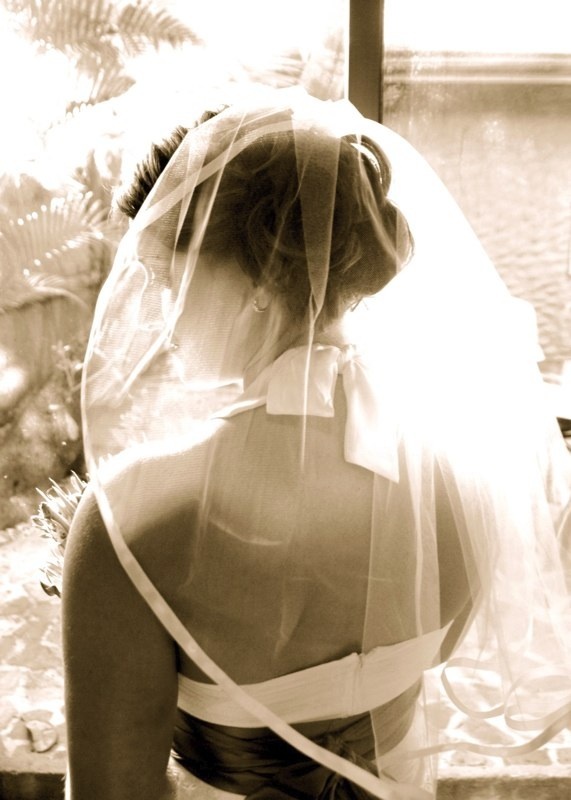 For couples preferring a more intimate wedding day we are happy to provide witnesses to conform to legal requirements. 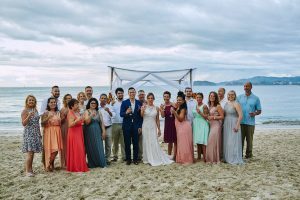 Playa Conchal is a fabulous location for the beach ceremony. 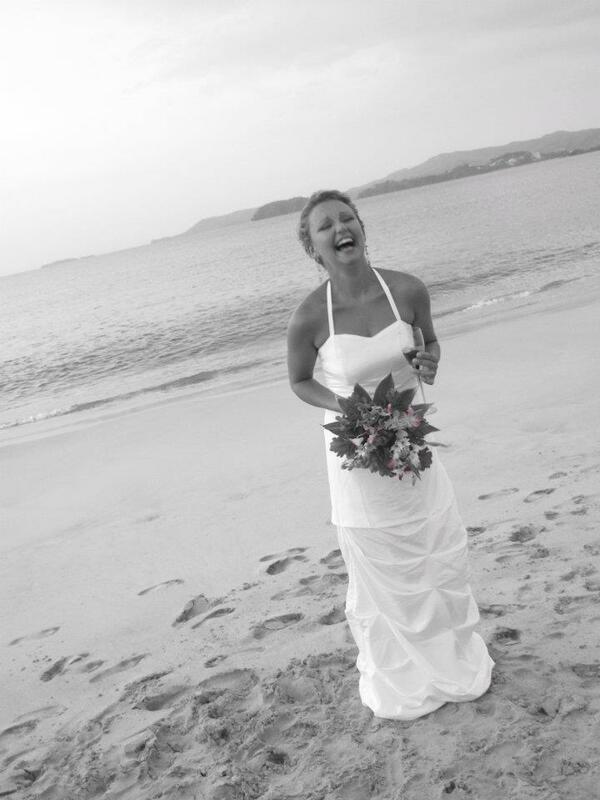 The pristine beach, magnificent ocean and offshore islands can provide a stunning backdrop. 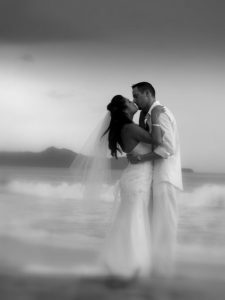 Imagine yourself newly married, together watching a stunning sunset over the Pacific ocean with a glass of champagne in hand. 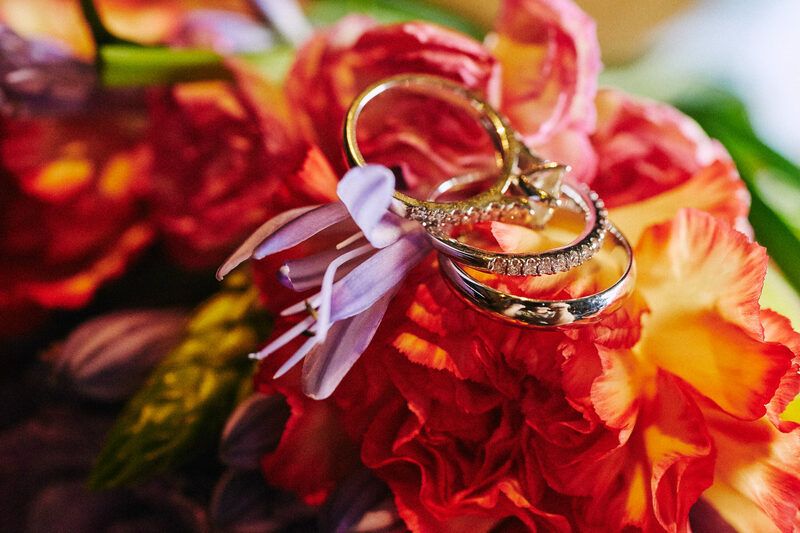 A wedding service you, your friends and family will never forget. 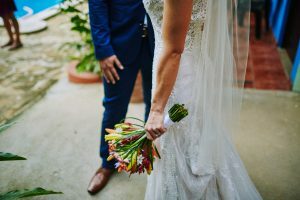 We are very proud to offer the services of renowned ceremony officiator Marcelo Galli, who will take care of all legal requirements and paperwork, as well as tailoring the ceremony and vows to your requirements. After the wedding day you can enjoy other honeymoon activities such as a romantic sunset cruise, horse riding through tropical forests, indulging yourself at a thermal spa, or just finding your own peaceful piece of beach to relax. As well as an promising you a dream wedding that you will never forget, we also aim to offer excellent value for money. Please contact us for more formation and let us know your proposed dates, length of stay and number of guests so we can provide your quote. You may be happily surprised at how our rates compare to our competitors! I would recommend this place to anyone! Simon and Hilda are so genuine and nice. They would do anything to make your stay as pleasant as possible. We had a group of 20 stay and everyone felt the same way. The rooms were clean and well kept. The staff was wonderful! The restaurant is delicious! We ate there for breakfast, lunch and dinner! This hotel handled our wedding and we couldn’t ask for anything better. They were very easy to work with and everything turned out perfect. 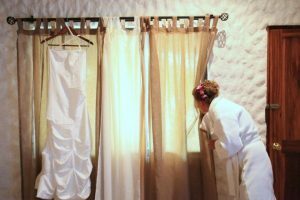 They took care of everything from the decorations, cake and food to setting up the hair and makeup and photography to the little details like giving my maid of honor bobby pins and my groom a razor! Truly a great hotel run by great people. We plan on going back! 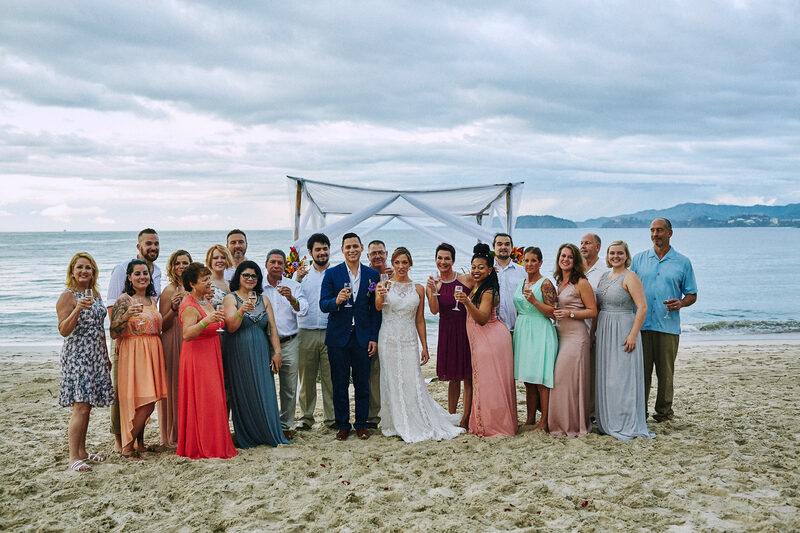 We’d like to acknowledge all the attention to detail and care that Simon and Hilda provided when planning our barefoot beach wedding(we eloped). They took the time and listened to what we wanted and the results are beyond what we can describe–it was a very fun loving day that we will always cherish. 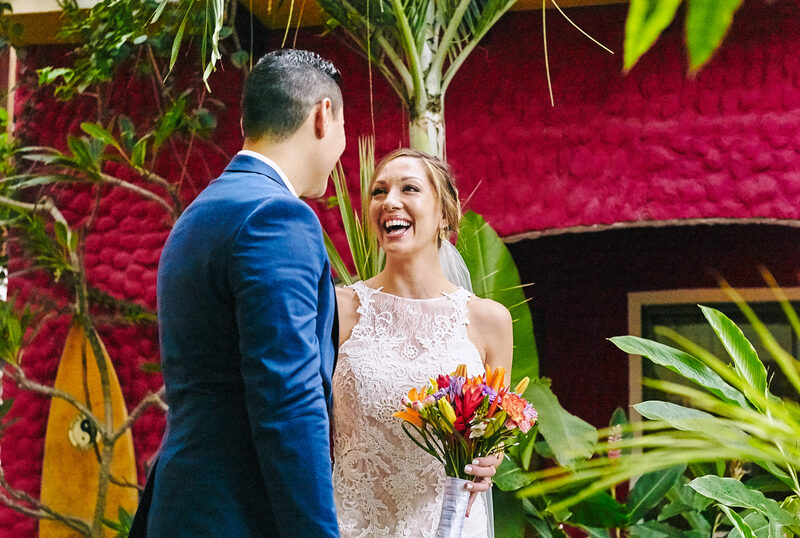 We were absolutely thrilled when we learned that Marcelo Galli is their preferred officiator and we absolutely loved Jennifer Harter, our wedding photographer, who totally understand us. Hilda’s hair stylist, without my showing her any photos, gave me the best updo I have ever had. The night before the wedding, I realized my nails could use some help, Hilda took care of that and had a very nice lady give me a manicure on my wedding day. 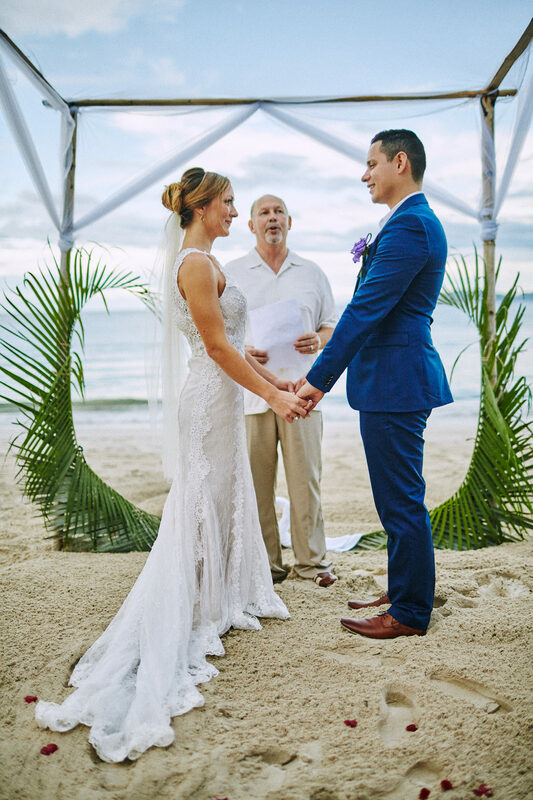 Daybor and Brayner created the most stunning (simple and elegant) arrangement on the beach, we could feel the love and kind intentions. Despite being very busy with running their hotel and restaurant, Simon and Hilda were always there for us, to the point of taking the time to drive us to the beach for our wedding and be our witnesses. 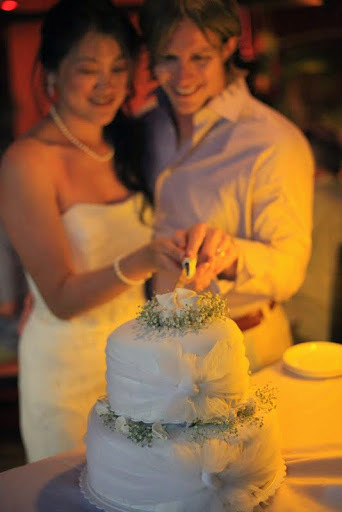 What we would really like to emphasize is that Simon and Hilda went above and beyond with planning our wedding… they truly cared and their loving kindness as well as that of their staff (thank you Brayner and Daybor!!!) created the awesome energy that lit up our wedding day. It is a beautiful thing when you are surrounded by good people.